The 123 graduates lined up cautiously, as they had rehearsed, jostling to get in position amid the cheers of proud parents as an Afghan flag more than 150 feet long flapped above them in the sharp wind. Former U.S. 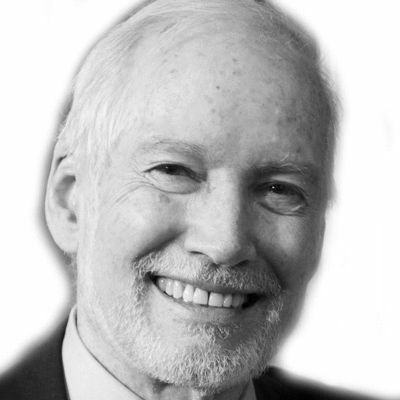 Ambassador Ryan Crocker had just finished his commencement address, remarkable as graduation speeches go for its lack of flowery language, filled instead with advice and prudent words about the task at hand at this moment in Afghanistan's history. He had taken the stage from Nancy Dupree, the tireless American observer who has called Kabul home for most of the last 40 years, who expressed her deepest admiration for the graduates and said she never could have imagined this event just a few years earlier. The mood was buoyant. The graduates, their names read out one by one, waded through the crowd of assembled Afghan dignitaries, ascended the stage, shook the requisite hands, and signed their names to the ledger containing the names of all the graduates from the American University of Afghanistan. And they cheered. The end of a four-year journey -- four years of the most rigorous education available in the nation -- had finally arrived. 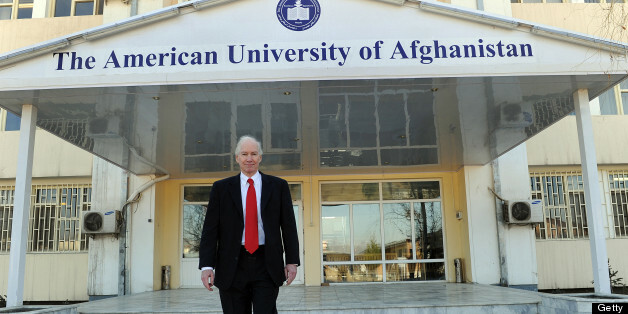 That memorable day this past May was a landmark moment for them -- and for the American University of Afghanistan, which was celebrating its third graduation and stands prominently as a symbol of American generosity. American taxpayers have helped foot the bill for state of the art classrooms, computer labs, and a manicured campus with rose-lined pathways that has seen four new buildings added to it in the last several years -- including a 5,000 square meter center for Afghan businesswomen. Increasingly dominating the campus are women, who comprise half of the 2013 freshman class and one-third of the overall student body of more than 1,300 full and part-time students, who hail from every single province in Afghanistan. They personify the incredible statistics showing the major strides the Afghan education system has taken in the last 10 years. Rising female enrollment and connectivity around the country -- universities all provide access to the internet and computers -- along with ever-improving English-language abilities have combined to help make this generation of Afghan students the most educated in this country's history. Their emergence belies the fearful narratives peddled recently about a rise of "student militancy" on Afghan campuses. Far more informed was Ambassador Crocker's simple observation to a reporter on assignment for The Atlantic at our May graduation: "This is a generation that the country has never seen -- they're tuned in, wired up, switched on." Dr. Sharif Fayez, who helped establish Afghanistan's higher education system as the first minister of higher education after the fall of the Taliban in 2001 and who now works with me at the American University of Afghanistan, says that the surge in interest in higher education is in fact enabling Afghan universities to stand as bulwarks to militancy and extremism. "These kinds of students debate each other on campus, in public settings, and in front of audiences, and they find that as they engage their fellow students and share perspectives, the simple purity of their militant position becomes complicated by the realities of life," he says. Hamid Baraywal, who hails from Kandahar and lived there under Taliban rule, arrived on our campus three years ago with a cohort of 25 other students from southern Afghanistan. "To be perfectly honest, some members of our group were a little bit sympathetic to the Taliban when we first arrived, but only before we had been educated," he says. "Attending a university has changed our minds and perspectives, and now all of us openly critique the Taliban for their violence towards civilians and their lack of any progress towards making Afghanistan better." Hamid, who completed all of his graduation requirements in three years, was recently accepted as a Fulbright scholar. Sparghai Basir, a 23-year-old student from Jalalabad, says she could understand how foreigners could confuse being ambivalent about America's presence in Afghanistan with being pro-Taliban. "Maybe a few students can be against America, but no one actually wants the return of the Taliban government," she said. As one of our graduates told The Atlantic upon receiving his diploma: "We are not only having fighting and suicide attacks. But that is what people see in the media outside Afghanistan," he said. "Here, we know there is a new generation that will lead peacefully in the future." "The more people learn, the more they will understand the Taliban is trying to destroy us," he added. There are plenty of legitimate challenges over the next few years for Afghanistan. A rise of student militancy on college campuses is not one of them.